The native Olympia oyster (Ostrea lurida) has been the subject of few detailed feeding studies compared with many other species of bivalve mollusk. More information on this species’ feeding activity and behavior are needed to better understand its historical ecological role in Pacific Northwest (PNW) estuaries, compared with that of the widely farmed, well-studied, non-native Pacific oyster (Crassostrea gigas). In this study, the feeding physiology and particle processing behaviors of O. lurida and C. gigas were examined in both controlled laboratory experiments and in situ trials that spanned the wet and dry seasons of the PNW. It was hypothesized that O. lurida would have lower filtration and particle processing rates than those of C. gigas. Results supported this hypothesis in that filtration and absorption rates of the Pacific oyster were significantly greater than those of O. lurida under laboratory conditions. In the field, C. gigas was also found to filter, absorb, and deposit organic material at significantly greater rates than O. lurida. These observations explain the previously reported greater growth rates of C. gigas relative to those of O. lurida. Furthermore, after applying data collected here to recent modeling efforts, it estimated that C. gigas could potentially remove between 1.2 and 3.6-fold and deposit between 1.6- and 4.6-fold more organic suspended material than comparable, historic populations of O. lurida in the PNW. The National Estuarine Research Reserve System fellowship awarded to MWG (Award No. NA10NOS4200025) supported the experiments and the Molluscan Broodstock Program staff provided valuable resources during the studies. Additional support to MWG was provided by the Oregon Society of Conchologists, the Mamie Markham Research Award, and Anja Robinson Fellowship from the Hatfield Marine Science Center, OSU, and by the USDA-ARS Shellfish program at HMSC (CRIS project 5358-6300-00200D). Gray MW, Zu Ermgassen PSE, Gair J, Langdon CJ, Lemagie EP, Lerczak JA. 2019. 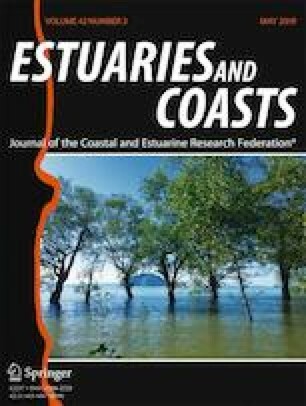 Spatially explicit estimates of in situ filtration by native oysters to augment ecosystem services during restoration. Estuaries and Coasts. https://doi.org/10.1007/s12237-019-00515-3.